Introducing Team Spotlight – a light-hearted addition to our monthly Connect e-bulletin (open to all – subscribe to it here) where you can learn about who we are at AccessHE and what we’ve been up to in the past month. Tanyel: In early March, I met with our Disability Forum Chair to share a project proposal. We are looking to produce an informative resource for students and teachers in schools and colleges on the Disabled Student Allowance. Our Evidence & Evaluation Forum met, where we shared a draft of our London Challenge report. It explores a ‘London effect’ in using different indicators of disadvantage, particularly POLAR3/4, for targeting and evidencing impact in activity across the student lifecycle. It’s particularly exciting times for our Student Ambassador Forum, which met a day after the ‘Life after University’ event (full write-up here). We welcomed our new Chair Mandy to the SA Forum and shared early stages of a pan-membership training and development programme for student ambassadors. I’d be very eager to hear the student voice about any of the above (you can contact me here). In the meantime, watch this space! Richard: I’ve been at AccessHE a little under three months now, and I’ve really enjoyed working with the team here so far. I’ve spent a lot of the past month or so on the road visiting HEIs and our NCOP partners. I have been struck by the commitment to supporting underrepresented learners everywhere I go. It’s hugely energising to work with such a passionate network who are as values-driven as they are friendly! My meetings brought home to me just how determined our members are to drive forward the social mobility agenda. But they also revealed a sense of trepidation as the sector adjusts to a new form of regulation. There are clearly challenges for them that are specific to London. In order to play our part here, we have been developing new projects and interventions to support the membership. We’re looking forward to saying more on the opportunities that will bring for the membership in the coming weeks. Vanessa: Summer school planning is in full swing. All preparations for a visit on Thursday 6th June to the Urdang Academy for 50 girls engaged with the HeppSY+ NCOP have been confirmed. We are currently recruiting HEIs to support the delivery of the AccessHE Capital Summer School (Tuesday 23rd July- Thursday 25th July), delivered in conjunction with Greater Manchester Higher. We are delighted to announce that City, University of London, have kindly agreed to host day one of the summer school and deliver the Humanities and Social Sciences subject strand. Team NCOP (Naz, Kay, Barbora): This month, our AccessHE London NCOP students not only had the opportunity to visit City University, London but also took part in a variety of workshops. These workshops are delivered by member universities and partner organisations and provide a further insight into Higher Education. 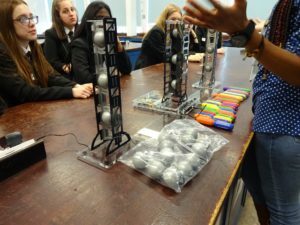 The Institution of Civil Engineers delivered a ‘Balancing Bridges’ workshop to our Year 10 AccessHE NCOP London students. In this session, participants took part in an interactive activity using magnetic linked struts in order to build out a bridge central strut. This activity used different structures to teach participants about the importance of building structures on suitable ground conditions and gave students an insight into engineering. A presenter from London Academy of Music & Dramatic Art (LAMDA) delivered a ‘GCSE English set texts’ Shakespeare masterclass. This workshop encourages students to engage with set texts and its characters in a way that allows them to relate and understand them in a modern context. 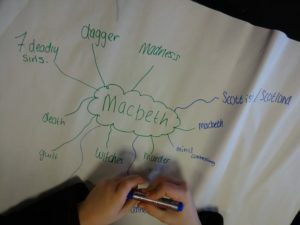 Consequently, the students gain confidence, feel less daunted by the Shakespearean language and are able to express themselves as well as explore and raise questions about the dramatic arts. The final session of this month was an insightful Year 10 ‘STEM’ session delivered by Atkins Global. The aim of this session was for students to explore the different types of skills and pathways necessary for a career in engineering and additionally give students an opportunity to ask any further questions about education and employment within the field. How are you finding our Team Spotlight? Let us know your feedback, however small, by e-mailing Tanyel.